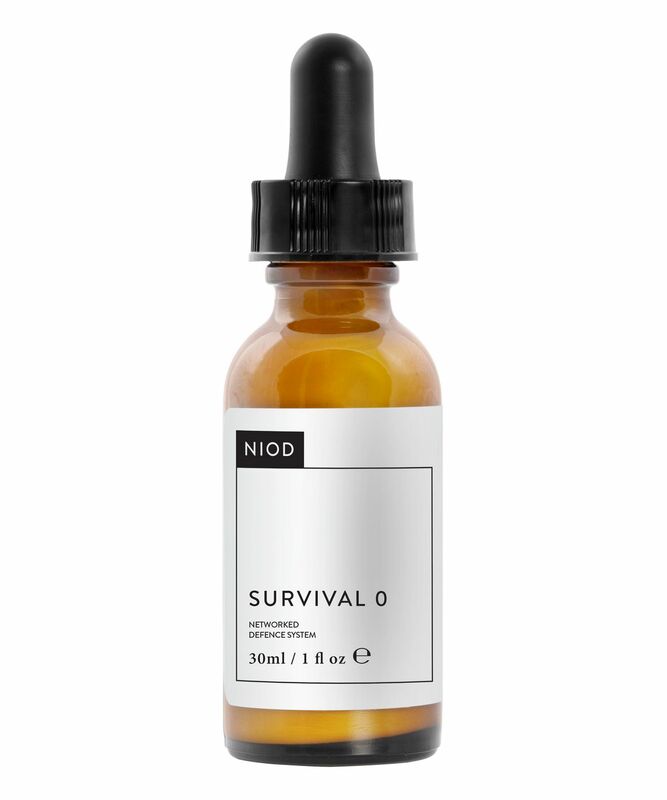 An advanced way to protect skin from environmental damage, NIOD’s Survival 0 is a protective formula specially designed for evening use (the ‘0’ refers to the fact that it offers no SPF protection – but does offer a host of other benefits). With a lightweight texture that belies its efficacy, this formulation features next-generation technologies to offer broad protection from oxygen radicals, pollution, smog, stress, infrared and blue light. Give your skin advanced protection and help it survive the stressful onslaught caused by modern lifestyles with NIOD’s Survival 0, a networked protection system with technologies that help support skin’s natural defences in the evening (when you don’t need SPF protection). Despite its lightweight texture, this formulation offers a broad selection of advanced technologies – including purified lutein from marigold flowers, purified deep sea algae and anti-inflammatory yeast-derived superoxide dismutase – which work to deflect free radicals, pollution, smog, stress, infrared and blue light. Apply to face liberally to help support environmental defence in the absence of material UV exposure (in the evenings). Designed for all skin tones. This product does not offer protection against UVA or UVB rays. Note: Spending time in the sun increases your risk of skin cancer and early skin ageing. This product does not offer sun protection and does not prevent sunburn. Avoid contact with light clothing as the carotenoids in this product can cause staining. Seeing how these products are marketed you need 10 bottles to do a simple job. I do use this and it's still not as good as a drop of pure jasmine oil. Sorry to burst a few bubbles but I get better results (and aroma) from absolute oils, or even pure pomegranate seed oil. Plus weekly acid burns. Nothing really matches the effectiveness of acid peels and pure oils. And I'm sure the founders of this new rave will argue - that's their job though. I bought a few "test" products from NIOD range, Ordinary and Hylomide - all top priced from either range. What can I say? I wish it were different but it's still a snake oil world. I will say that the decorative cosmetics are good - especially the finishing products, but that's about it. The price is good, but then Ordinary is enough. Cheap and better than most. But this bottle cannot be called a tool - non invasive - please....it's a good moisturiser, that's all.